More than 32 years have passed since the bird was first seen, but the Records Committee of the British Ornithologists' Union has announced that it has accepted Falcated Duck onto Category A of its British list. The bird in question was an adult drake at Welney, Norfolk, from 9-27 December 1986; it later relocated west to Pitsford Reservoir, Northants, from 15 February-5 April 1987. The same individual then returned the following winter, first appearing back at Welney on 20 August 1987 and lingering there until 8 October, before again moving to Northamptonshire from 12 December. Here, it was at Thrapston and Ringstead until 6 March 1988. The bird was photographed. Falcated Duck's exotic looks make it a favourite in wildfowl collections around the world, meaning the escape risk has to be carefully considered when assessing any potential vagrants (Francis C Franklin/commons.wikimedia.org). Falcated Duck has been considered for admission to the British list on a number of occasions over the years, during which time it remained in Category D (Ibis 135: 493-499; 153: 227-232; 154: 212-215; 160: 190-240; 160: 936-942). As is often the case with wildfowl, the issue was not of identification (which is relatively straightforward) but rather the origin of the birds, which could either be wild or escapes from captive collections, as the species is kept widely. After the careful consideration of a number of plausible candidates the Committee decided, by a two-thirds majority, that the Welney bird, first seen in December 1986, was eligible for Category A. Several convincing candidates may now retrospectively be accepted as wild individuals, should the Rarities Committee deem them acceptable as wild. These include a drake on the Exe Estuary, Devon, in winter 2006-07 and again in 2007-08. 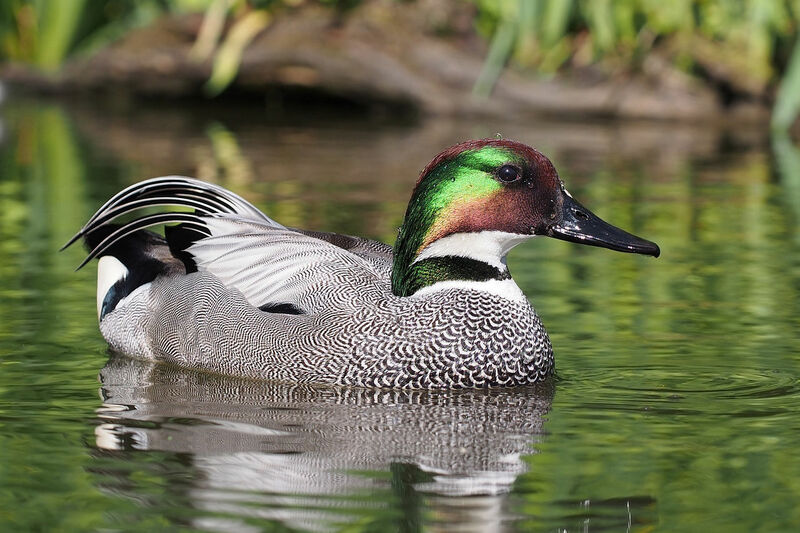 Falcated Duck breeds in Mongolia, eastern Siberia and north-east China. The species migrates south to winter in northern India, south and eastern China, south Korea and Japan. This update means that the BOU' list now stands at 619 species (Category A = 601; Category B = 8; Category C = 10). 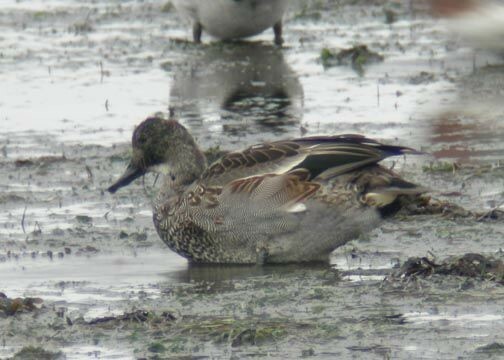 Falcated Duck should be placed after Gadwall on the British list. First-winter drake Falcated Duck, Exmouth, Devon, 22 November 2006 (M Lockyear).